Evolve is a simple and minimal, lightweight light theme for GTK3, based on the Adwaita engine. 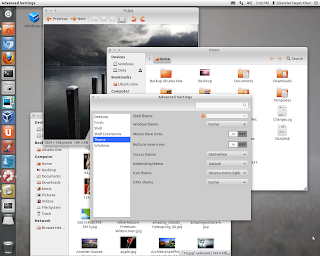 It is compatible with Gnome Shell as well as Unity. Extract the downloaded .zip file and then extract the 'Evolve.tar.gz' package. Now press Alt + F2 and launch Nautilus with root privileges by entering 'gksudo nautilus'. Copy the extracted 'Evolve' directory to '/usr/share/themes'.